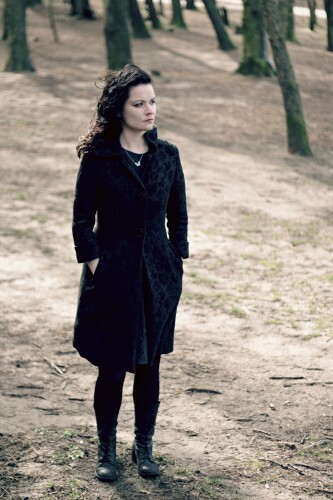 Linda Buckley is an Irish composer/performer based in Glasgow who has written extensively for orchestra (RTE National Symphony Orchestra, BBC Symphony Orchestra), and has a particular interest in merging her classical training with the worlds of post punk, folk and ambient electronica. Her work has been described as “fantastically brutal, reminiscent of the glitch music of acts such as Autechre” (Liam Cagney, Composing the Island) and “engaging with an area of experience that new music is generally shy of, which, simplified and reduced to a single word, I’d call ecstasy” (Bob Gilmore, Journal of Music). Music for theatre includes work by Enda Walsh (Bedbound) and film by Pat Collins (Living in a Coded Land) and Tadhg O’Sullivan (Solas Céad Bliain). Awards include a Fulbright scholarship to New York University and the Frankfurt Visual Music Award 2011 (Silk Chroma). Recent and upcoming collaborations include work with Mmoths, arrangements from This Mortal Coil, remixes for Augustus and John, new music with Laura Sheeran (Kuvn), as well as performances by Icebreaker, Iarla O’Lionaird, Joby Burgess, Ensemble Mise-En and Crash Ensemble. Linda also lectures in Composition at the Royal Conservatoire of Scotland. Darragh Morgan performs Exploding Stars for violin and electronics at Union Chapel London for Daylight Music, along with music by Donnacha Dennehy and Howard Skempton. During the Sounding Out the Space Conference the Spatial Music Collective will present two concerts of spatial music involving both live and electronic music in St. Laurence’s Church. Kaleidoscope present a programme of music to complement the exhibition Käthe Kollwitz: Life, Death and War, now on display in the Print Gallery. Featuring pieces by the rarely heard female Czech composer, Vítēzslava Kaprálová, and a Schoenberg work based on a poem by Richard Dehmel, the programme offers a unique opportunity to connect with Kollwitz through the music of two contemporaries, mirrored by music from two female composers who preceded and followed her. System Restart Tour – The exciting programme features new music by Jobina Tinnemans, whose work includes music for table tennis players and hedge shearers, You Are Wolf’s Kerry Andrew, whose output includes an opera about swimming, Nottingham University’s own Elizabeth Kelly, and Australian-Dutch Kate Moore is complemented by Linda Buckley’s exquisite, soaring Azure, plus Anna Meredith’s Orlok and Nautilus from her surging, joyful Moshi Moshi EP’s. Sounds from a Safe Harbour festival – music by Bryce Dessner, Emily Hall, Linda Buckley at the Everyman Theatre, Cork. Score for The Human Flock film installation by Clare Langan, Lismore Castle Arts from 5th August to 1st October.